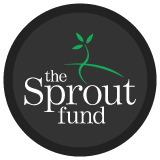 We are so thrilled to announce that Healthy Artists has just been granted a Seed Award from the Sprout Fund! The Sprout Fund supports innovative ideas and creative people that are catalyzing change in Pittsburgh. The award is towards our very special project “The Healthy Artists Movie Poster Exhibition”, which will uniquely unite artists, college students, and health care advocates and educators. To learn more, stay tuned! Thanks so much for stopping by Gallivance to read Those Bodacious Baltic Beasties. We really enjoyed the Art Nouveau animals and are happy that you did too. Congrats on winning the Seed Award. Well deserved. Thanks for the warm wishes, Terri and James! Love your gorgeous site!